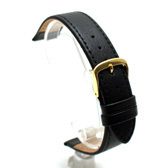 Finest Quality, hand made in Germany using a fifty step process and with a keen attention to detail, this black watch strap is made of pig skin and is very soft. 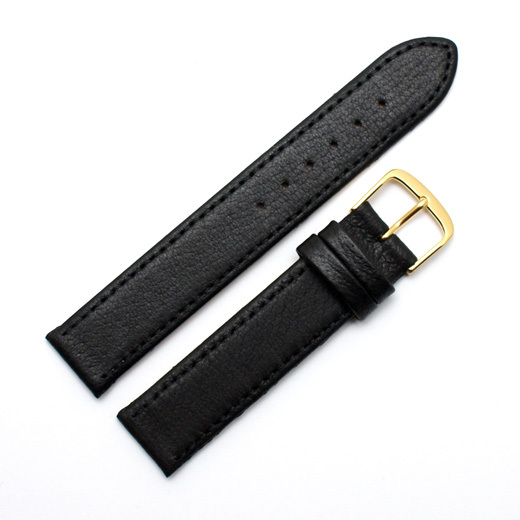 It has the same colour detail stitching, padding, a slightly pebbled finish and a plain, classic style. 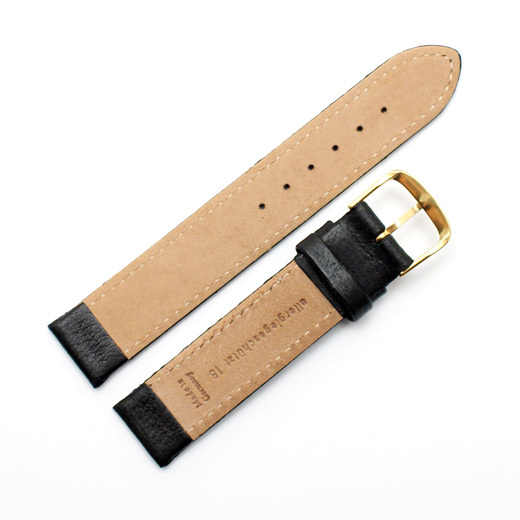 In all sizes other than 10mm it is parallel (the same width at the buckle as the lugs).